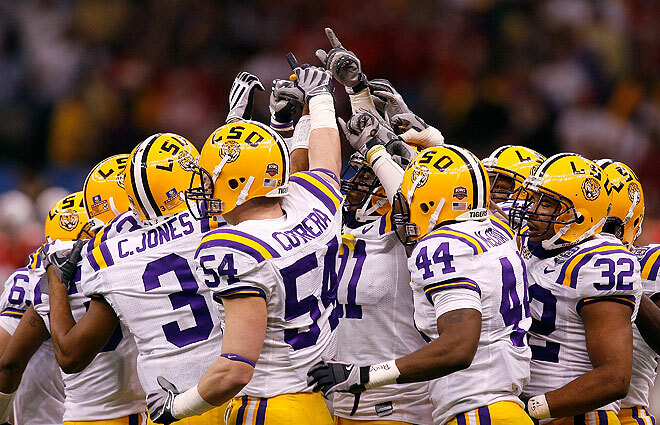 Geaux Tigers & the S.E.C, love seeing it all slip away for "The Sweater" again. Geaux T I G E R S !!!!!!!!!!!!!!!! It's Great to Be A Georgia Bulldog, But Last Night We Were One As the SEC. I thought it was so cool that at the postgame, the LSU players were shouting "S-E-C"--what an exciting time to be a fan of SEC football. I have only one thing to say; DAAAA-DA-DAAA-DA!!!! Congrats!! Sure makes Kentucky look good! !